The primary functions of the Legislature are to enact new laws and revise existing ones relating to the health, education and general welfare of all Oregonians, and to make decisions that keep the state in good economic and environmental condition. An informal, but highly significant, function is to provide a forum for resolution of group conflicts and expressions of public grievances. The Legislative Assembly, often referred to as state government’s board of directors, is responsible for a total state biennial budget in excess of $65 billion. The power to allocate state monies gives the legislature influence over the executive branch. In deciding where and how much money the state will spend on its agencies and programs, the legislature establishes priorities and sets public policy. In addition to enacting laws, setting public policy, and administering the state’s budget, legislators review administrative rules drafted by state agencies, and in the Senate, confirm certain executive appointments made by the Governor. 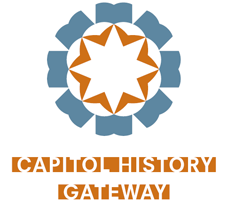 Students - Looking for an up-close experience at your Oregon State Capitol? 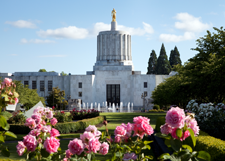 Learn about Oregon's legislative process and rich history as an Honorary Page. Programs are offered by both the Oregon Senate and the House of Representatives. Learn more. The Oregon Legislature freely provides the legislative measure, committee, and legislative member data used in the Oregon Legislative Information System (OLIS) to the public in an Open Data Protocol (OData) API. Learn more.